Gift certificates are an effective tool for marketing your business and can provide a significant boost to sales, especially during the holiday season. Help your customers spread the word about your business without the cost of additional advertising. 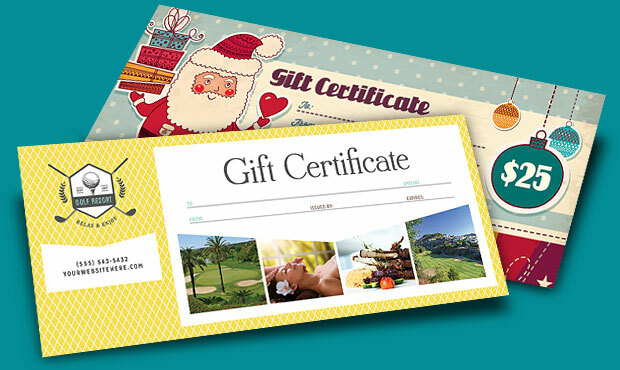 Create and print your own gift certificates using these handy designer templates that can easily be personalized for your business. View more blank gift certificate templates from StockLayouts. Get printable gift certificate templates for Word & Publisher at LayoutReady.com.